All I have to say is can someone please kill retired CIA operative Bryan Mills already?! The 1st of this trilogy involved his daughter being kidnapped in Paris. He rescues her and kills a bunch of people. The 2nd installment involved Bryan and his ex-wife being abducted. His daughter through Bryan and his colleagues rescue them and kills a bunch of people. Finally, in this particular riveting tale his ex-wife is murdered and he’s framed for it. Queue the dramatic buh buh buuuuuhh music here. What ever shall he do? But you know what, this one has a special twist. Drumroll please… It includes rubber band man himself, Forrest Whitaker. Ha! He plays a similar character to Sherlock Holmes or Vincent D’Onforio from Law and Order: Criminal Intent. Except he’s less brooding. He was something to see, that’s for sure. 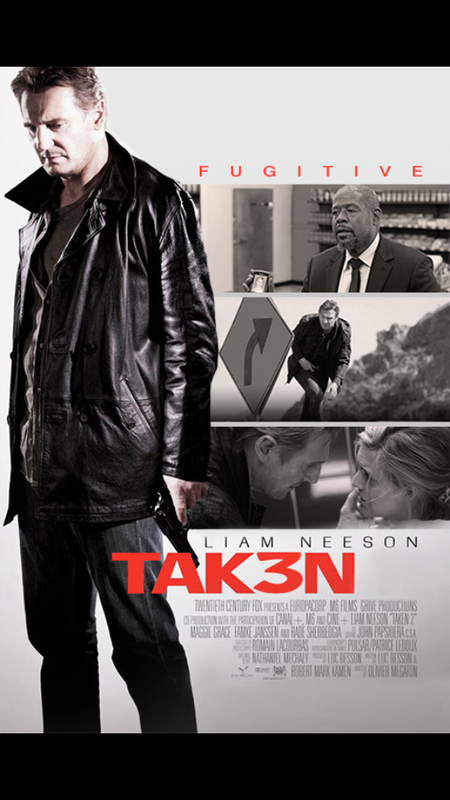 Don’t get me wrong, these films are not poorly made and there are some great action sequences, but how has Liam Neeson’s character never been in ICU or locked up? Oh, I forget. He has a set of very special skills… My bad Bryan, I forgot. These films end very dry and abrupt. That is very annoying. I just hope this was the final film as the promos imply with “It Ends Here” because if my husband drags me to another Taken film I will be forced to use some of Bryan’s special skills on him. Lol. I give this film 3 out of 5 Honey Dips.